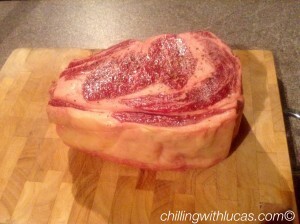 I recently tried Tesco Counters 21 Day Matured Beef Rib Joint as part of the Tesco Orchard Programme. I have never used the counters as Tesco before, I have bought the pre-packed meat but other than that, we always buy our meat from a local butcher. 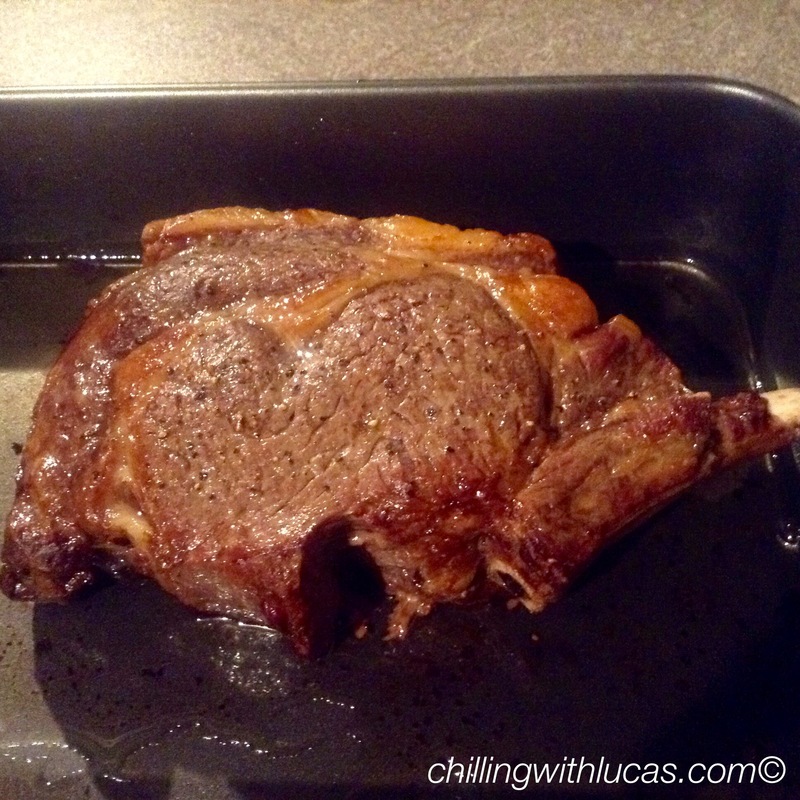 The man on the Tesco counter was friendly and advised me on how to cook it according to whether I would like it rare, medium or well done. The beef is £9.50 per kg, the piece I bought cost £12.73 and I had a voucher for £9.50 towards it. There was plenty for two roast dinners and a casserole the next day. 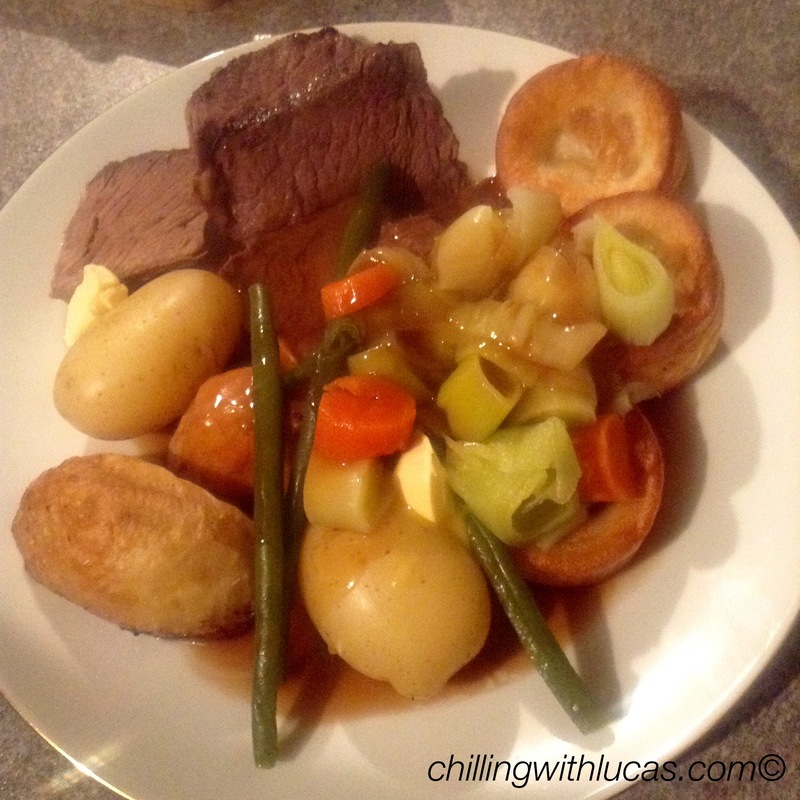 We slow roasted it in the oven (20 minutes on 200 then just under 150 – not sure how long as we left it until Lucas was settled in bed) and served with baby potatoes, roast potatoes, vegetables, yorkshire puddings and gravy. With the left overs we made a casserole the following day in the slow cooker. I’ve never considered buying from the counter at Tesco. Like you I use my local butcher but I would consider trying the counter next time.